SEOUL -- In an apparent bid to check the growing influence of Netflix, the world's top over-the-top (OTT) media company, three major South Korean broadcasters -- MBC, SBS and KBS -- joined hands with SK Telecom, the country's top mobile carrier, to combine their OTT services. OTT services deliver film or TV drama content over the internet. Video-on-demand (VOD) services are popular in South Korea, where some 37 million smartphone users are hooked onto super-fast networks 24 hours a day. POOQ, a joint venture OTT service of the top three broadcasters, has about 3.7 million users, including 700,000 subscribers. 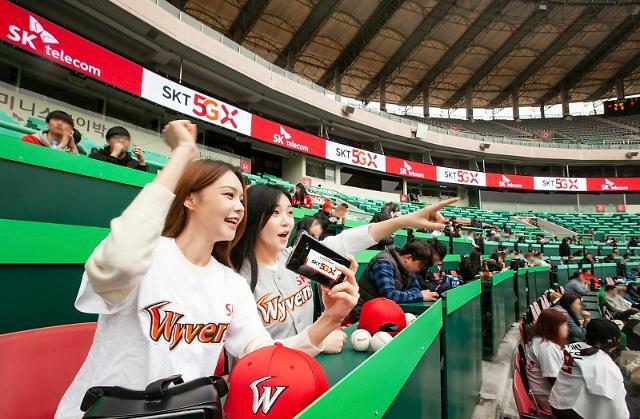 Oksusu, an OTT service operated by SK Telecom, has about 9.5 million users, including nine million subscribers. SK Telecom said in a regulatory filing Thursday that it signed a memorandum of understanding with the three broadcasting companies to merge their OTT services. The company said the alliance is to "build a cooperative system to secure competitiveness in the rapidly changing media market." Industry officials said that SK Telecom agreed to secure a 30 percent stake in the combined OTT service and the stake will rise to 50 percent or higher when POOQ garners more than three million subscribed users. For a new OTT service, SK Telecom plans to attract local investors with broadcasters creating media contents. The alliance is seen as a strategic move to countercheck Netflix, which has gained popularity since its service began in South Korea in 2016. Currently, the U.S. OTT service has about 500,000 subscribed users in South Korea. "Netflix caused a catfish effect in South Korea's OTT ecosystem which has been somewhat placid," Kim Kyo-suk, a pop-culture critic, told Aju News. He said Netflix has brought positive changes to South Korea's media industry in many ways. Consumers welcomed the expanded choice of rich global contents, but many local OTT providers reacted nervously because they could not compete with trite contents. Meanwhile, POOQ has offered free TV streaming services by bringing in contents from foreign newsmakers such as BBC and CNN. Oksusu has focused on e-sports and virtual reality (VR)-based OTT service. Netflix has also affected South Korea's production industry. The global OTT service, which operates over 190 countries and with 130 million subscribers worldwide, has strategically worked with production companies, creating original contents to meet viewers' tastes and overcome national and regional restrictions. Netflix worked with famous director Bong Jun-ho to create "Okja", a film starring actors and actresses from Hollywood and South Korea in 2017. It is preparing for the world premiere of "Kingdom", a zombie drama series directed by Kim Seong-hun and popular television writer Kim Eun-hee, at the end of January. "Because of high production costs, contents creators are inclined to work with Netflix," Kim said, describing the way Netflix guarantees the freedom of production as inducement.